To ensure that your fascias, soffits and guttering continue to look stunning, we now offer a cleaning and checkup maintenance service. We have specialist equipment that can clean and leave a rejuvenated finish. 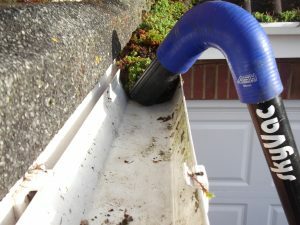 Using a pure water system we can clean your roofline, leaving a streak free shine. 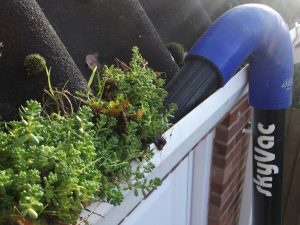 We now have a new SKYVAC cleaning system that can clear out the debris from your gutters. This system can be operated safely from the ground and reach those awkward areas. For more information and a free quotation please contact us on 01722 331901 or 07774652357.